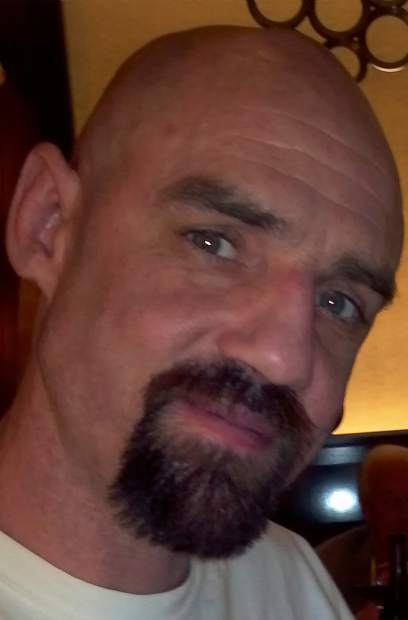 Jason Ray Krachey of Grass Valley, California passed away on January 6, 2018 in Nevada City, California. He was 42. Jason was born at Dover AFB, DE on July 24, 1975. Jason graduated at the top of his class from WyoTech Institute in 2009 and thoroughly enjoyed his career as an automotive technician. Jason is survived by his wife, Julie (Maclam) Krachey of Grass Valley, CA; step-son, Andy Uchida, of Grass Valley, CA; his brother Robert Krachey, of Altus, AR; aunt, Denice Ellison, of Athol, ID; step mother, Yavette Krachey Metcalf, of Riverside, CA; step sister, Tabitha Metcalf, of Riverside, CA; grandmother, Dora Krachey, of Coal Hill, AR, as well as numerous aunts, uncles, nieces, nephews, cousins, and his dogs, Bubsy Blue, Gypsy L’amour, Blue Byrd, and Superman. Jason was preceded in death by his mother, Debra Ellison, of Tahoe City, CA; father, Randy Krachey, of Riverside, CA; brother, Kevin Krachey, of Grass Valley, CA; sister, Trina Krachey, of Riverside, CA; brother, Joshua Krachey, of Riverside, CA; grandfather, Harold Krachey, of Coal Hill, AR; grandparents, John and Mary Ellison, of Grass Valley, CA, and great-grandmother, Winifred Spencer, of Grass Valley, CA. A celebration of life will be held at 2 p.m., on Saturday, January 27, 2018, at Western Gateway Park in Penn Valley, CA. Pulled pork, chili, hot dogs, and water will be provided. Please bring a side dish to share and of course, BYOB! Special thanks to the Johnson family for all their love and support through the years and through this trying time. Also, special thanks to those who contributed to Jason’s memorial fund, especially Richard Rodriguez.